Rex Bowman, Richmond Times-Dispatch staff writer wrote a recent article about the Jacksonville Center for the Arts in Floyd, VA under the title: Planet Floyd’s cow barn school of cultural arts. It is a great article and worth reading. Rex’s article gives the outside world an affectionate and reasonably accurate report on the peculiar charms of Floyd even though the use of the term "Planet Floyd" elicits images like this one. 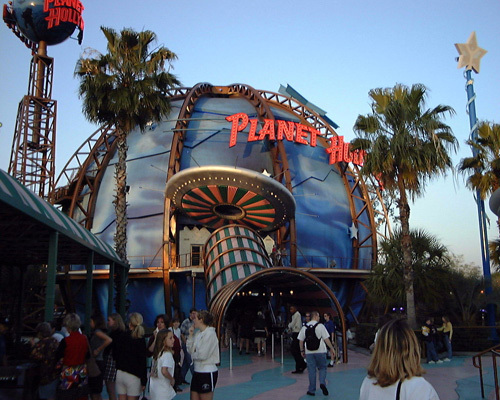 I hope we never see a Planet Floyd restaurant like the Planet Hollywood restaurant pictured here, but anything is possible with uncontrolled development. After all, Pigeon Forge was once a sleepy mountain town until the Great Smoky National Park opened in 1934 and changed it into a tourist town. Here you see Floyd through the lens of Fred First. 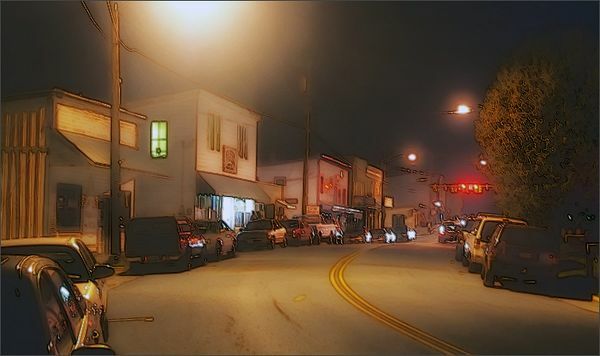 Here is a street scene from Pigeon Forge. Notice any difference? Can you see why the idea of "Planet Floyd" might bring a chill to those who live here? Rex, we admire your writing skill, but be careful with those titles! Living here on the island, with just 900 permanent residents, I can certainly relate to this post. Obviously, we move to these small towns for all the charm that they offer, opposed to a large city. Developers call it progress….I call it ruination. 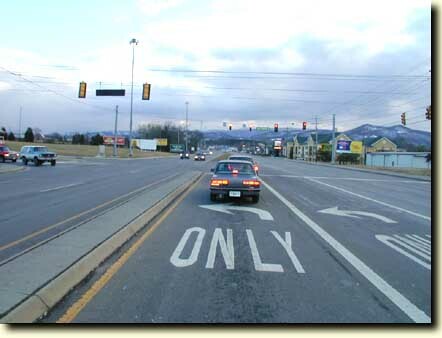 So far our town has been strict on further developing. Here’s wishing Floyd the same.